As the glow from Permian Basin work sites hinders research and amateur stargazing at the McDonald Observatory in far West Texas, some companies are calling on their colleagues to address the problem. 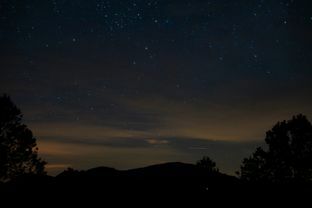 FORT DAVIS — As a cool breeze blew across the 6,800-foot mountain that Coyne Gibson stood on, he gazed at a night sky dotted with constellations, planets and meteors — all visible to the naked eye, thanks to the surrounding darkness. A satellite streaked across the celestial backdrop. Orange-red light from Betelgeuse, a star and supernova candidate more than 640 light-years away, glimmered, too. Not bad on a Thursday night that was far cloudier than normal. 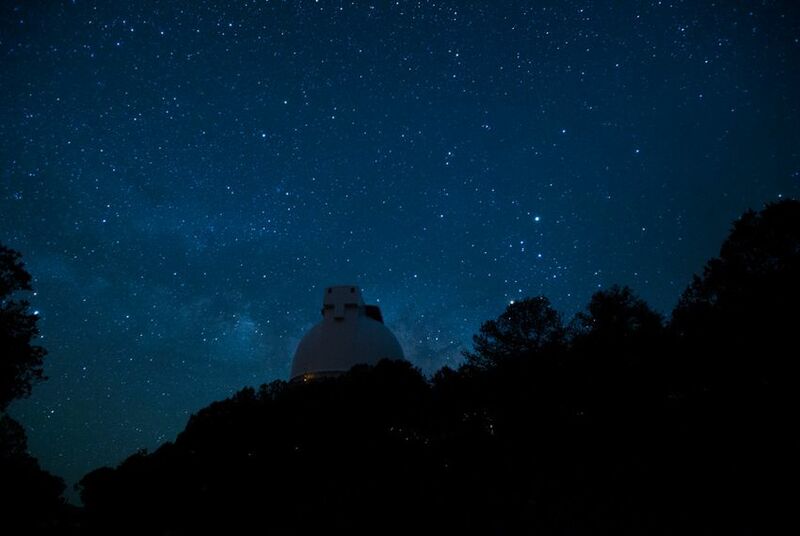 Just how dark are the night skies at the McDonald Observatory, the West Texas destination for world-renowned astronomers? Dark enough to occasionally disorient experts who aren't used to seeing so many constellations at first glance. “They can’t recognize anything, because there are so many stars,” said Gibson, a research engineer at the University of Texas at Austin observatory, which was built in the 1930s. Touting some of the darkest skies in North America and one of the world's largest telescopes — the Hobby-Eberly — this secluded outpost draws about 75,000 amateur stargazers each year, along with professionals who have made major discoveries, including, in 2012, the most massive black hole ever detected. The Hobby-Eberly is undergoing a $30 million upgrade as part of a project focusing on dark energy, the mysterious force propelling the accelerated expansion of the universe. But an encroaching glow from an earthly source just a couple hundred miles away is threatening the dynamic view and hindering research on an entire section of sky. Look northeast from this perch atop Mount Locke, and a band of scattered light from the Permian Basin drowns out the stars. It has grown brighter in recent years as more companies — using lighted drilling rigs, light towers and other equipment — tap some of the nation’s most productive oilfields and flare off the gas they can’t market. Light pollution on the horizon from oil fields north of the McDonald Observatory in Fort Davis on June 18, 2015. Ordinances in the seven counties surrounding the observatory require home and business owners to cut their light use at certain times. Most residents follow the rules, sometimes knocking on neighbors' doors if too much light shines from their homes. It's a different story at the 24-7 drilling operations far off in the horizon, where a drilling boom in the past decade, Gibson said, has made the glow about 30 percent brighter. But astronomers are now counting new allies in protecting the night skies: the petroleum folks themselves. Companies and industry groups are partnering with the observatory to educate operators, drillers and other service providers on how to reduce their glow relatively cheaply – and potentially save money in the long run. Largely leading the industry efforts is Pioneer Energy Services, whose president and CEO, Stacy Locke, waxes poetically about the few remaining dark skies above fast-growing Texas. And the observatory? “It’s a gem, and we cannot – we cannot put it in jeopardy. I mean, absolutely can’t be done. It’s too important to the world." Locke learned about the problem when Bill Wren, a spokesman for the observatory, approached him last year. Since then, Pioneer has invested in shields on its drilling rigs that direct light down, keeping it from scattering into the sky. The company also plans to roll out three new $24 million rigs that shine far more efficient LED lights. Wren said other companies clearly want to help, but Pioneer's efforts stand out, in a "very productive relationship” between the observatory and driller. Still, not every company knows about the problem. Locke has encouraged other companies to address light pollution, joining Wren in visiting work sites and authoring a report, published in April, about best lighting practices for drillers. The report largely focuses on shielding lights, pointing fixtures down and investing in LEDs – efforts that cost little or nothing. And advocates say those changes also improve lighting on the ground, making work sites safer. Ben Shepperd, the president of the Permian Basin Petroleum Association, has taken that message to heart. In April, he sent a letter to nearly 500 group members asking for their help in cutting down light pollution. But fully solving the problem will mean dimming the glow from more than just drilling rigs. Other oilfield service companies, including frackers, emit plenty of light. And so do the many natural gas flares that dot the landscape outside of Midland, Odessa and beyond. Curbing flaring – and bringing gas to market rather than burning it – is something most everyone wants to do, but companies still haven’t built enough pipelines to make it feasible. In the past few months, preliminary data shows that McDonald’s skies have grown a tad darker, but Wren said it was not clear whether that change was because of industry efforts to limit light pollution or the drilling slowdown triggered by low oil prices. Meanwhile, advocates will continue to push his dark skies message, but cautiously, and without chaining themselves to the nearest light post. Disclosure: The University of Texas at Austin and the Permian Basin Petroleum Association are corporate sponsors of The Texas Tribune. A complete list of Tribune donors and sponsors can be viewed here.